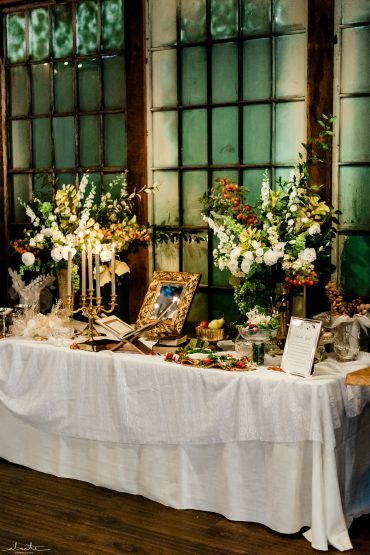 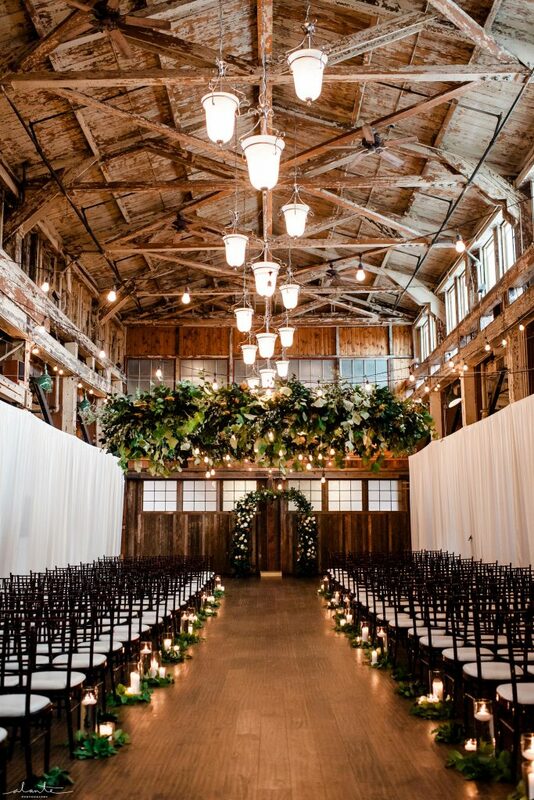 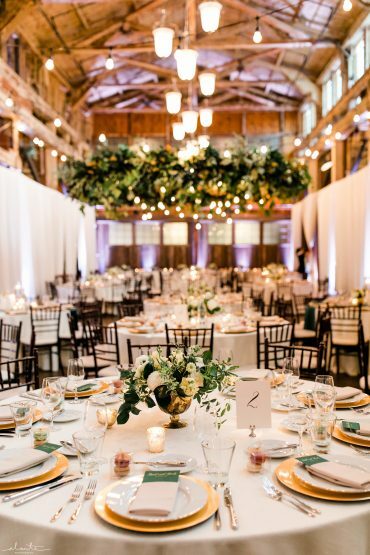 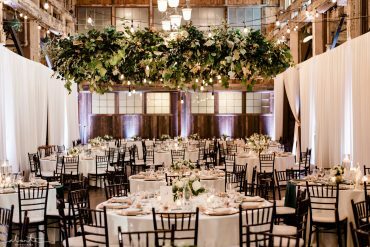 Sodo Park is a super cool Seattle wedding venue – it was perfect for this large Persian wedding. 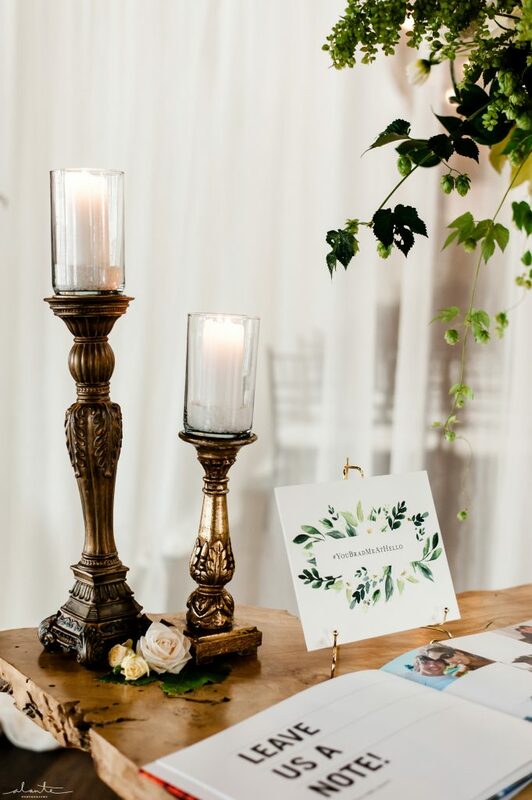 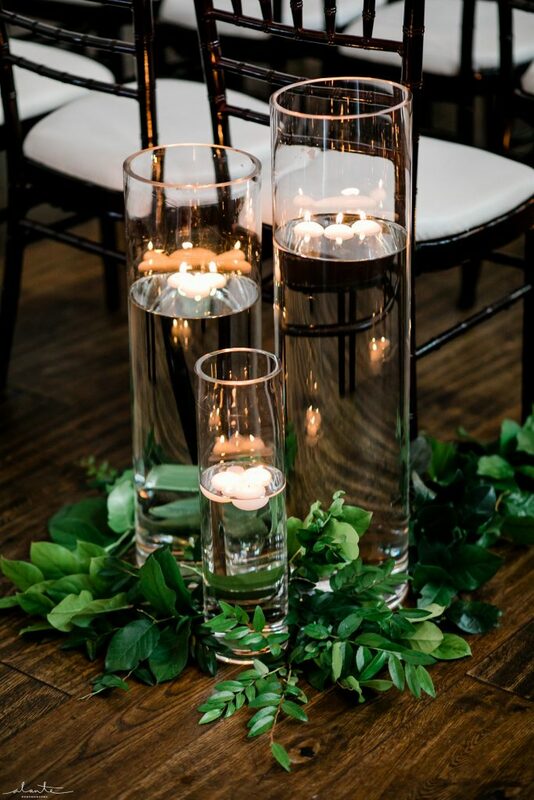 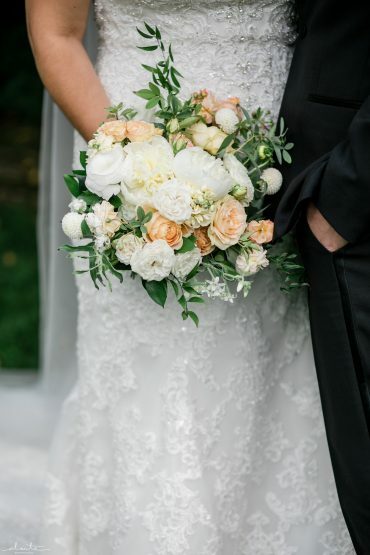 I really loved the chance to work with such a wonderful couple – and my favorite Seattle wedding planners! 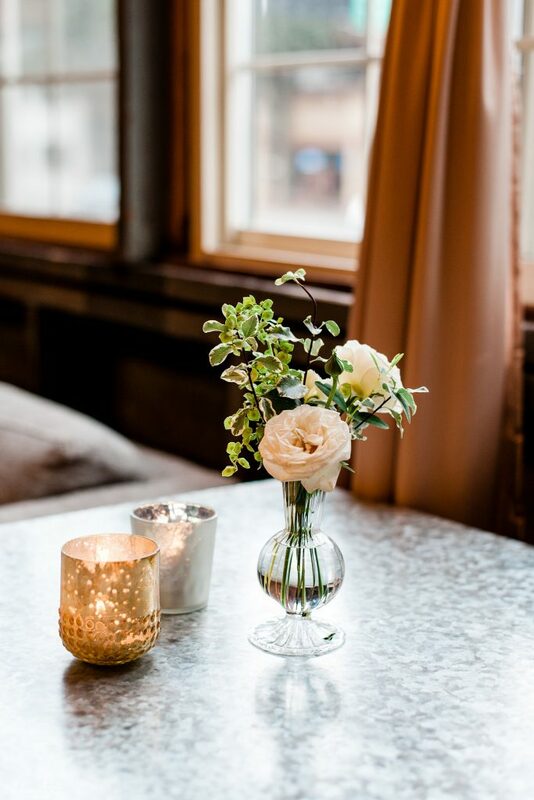 – to decorate this space. 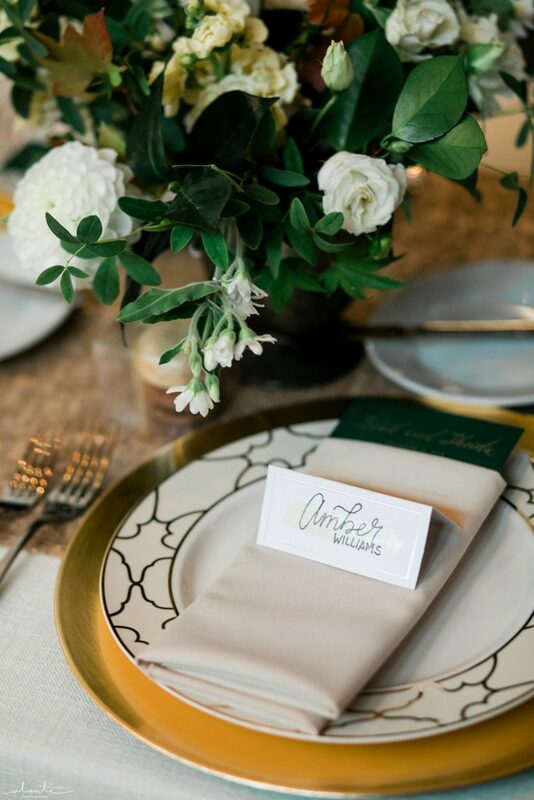 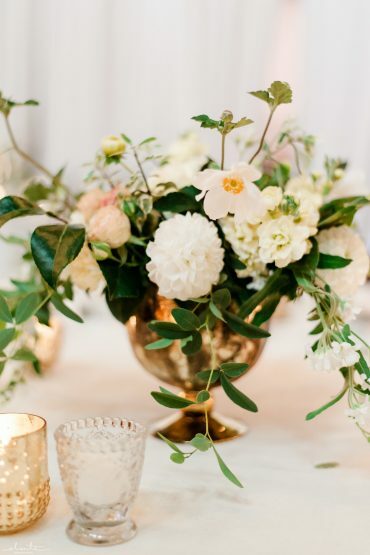 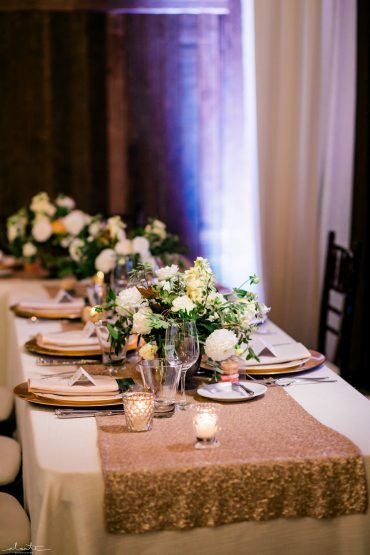 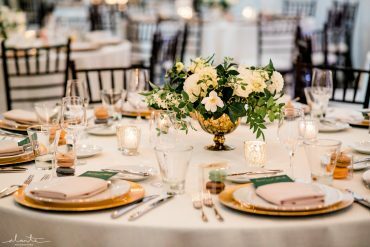 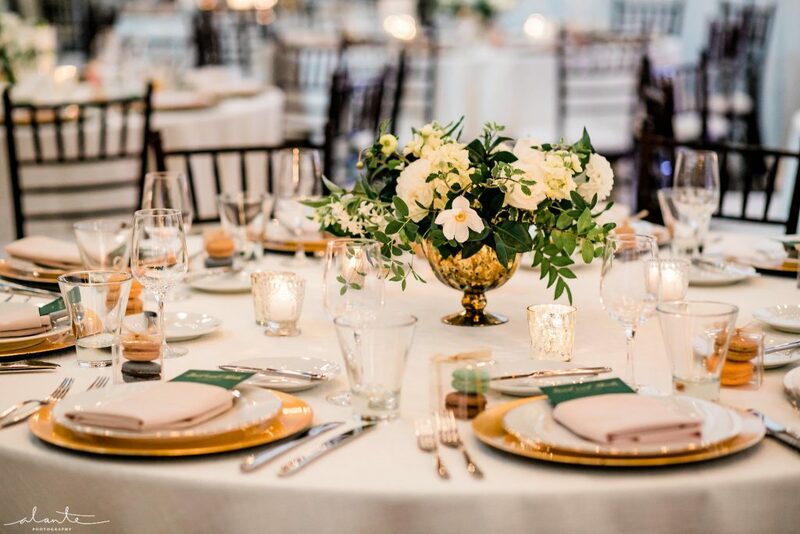 The color palette that bride Sheida chose – emerald & gold with white and buttery yellows – was elegant and natural. 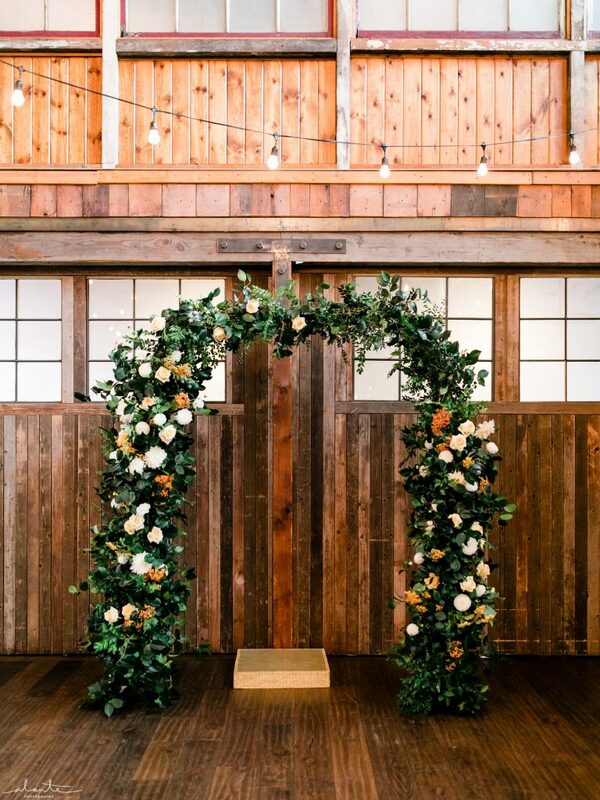 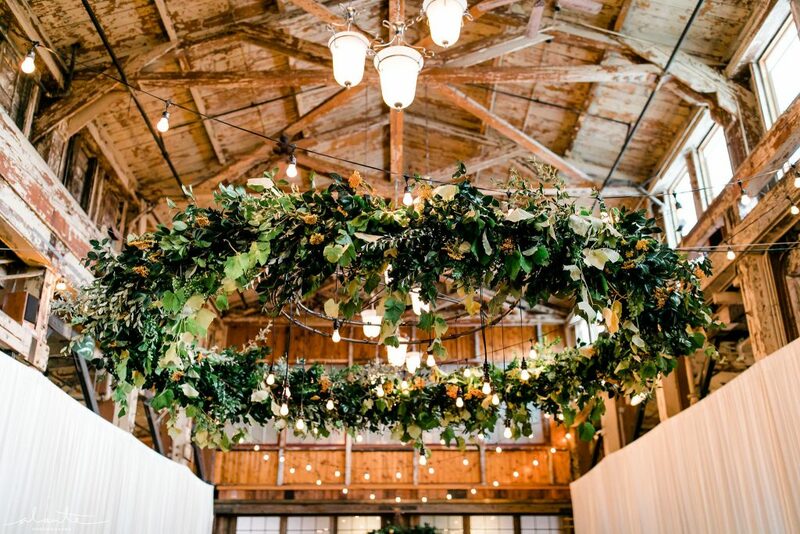 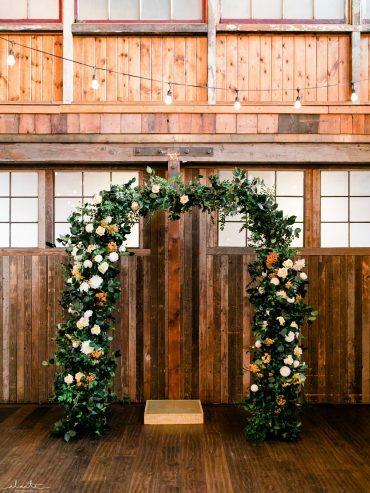 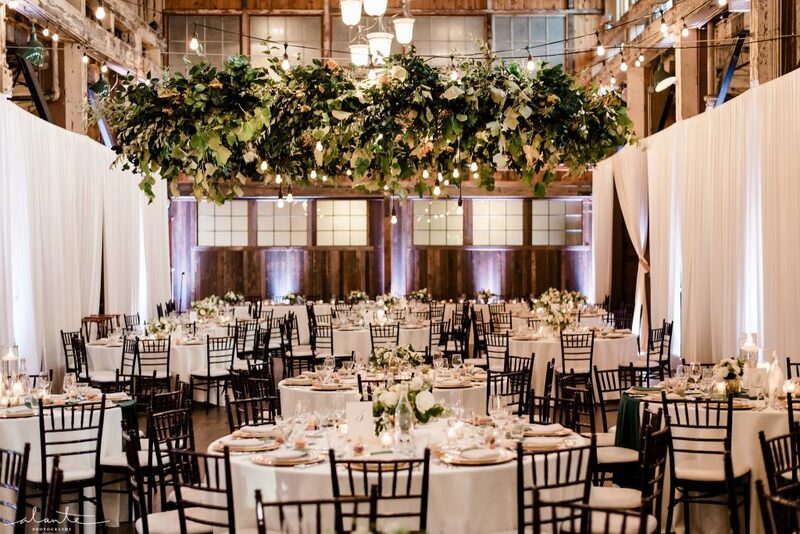 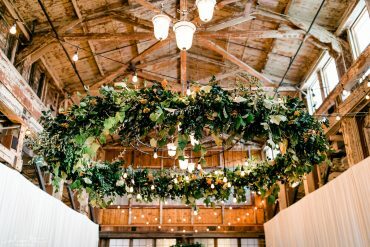 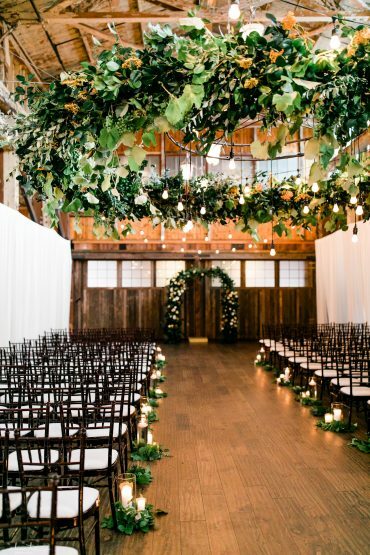 For the ceremony, we created a floral arbor using the venue’s frame, a 13′ diameter greenery chandelier, and lined the aisles with candles and greenery. For the reception, we assisted with the design of the table settings as well as the Sofre Aghd. 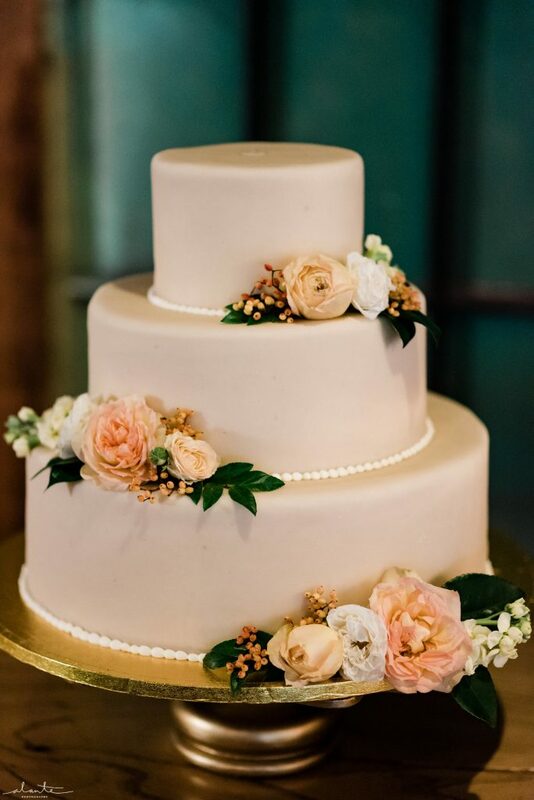 Of course, everything was made with no floral foam and with locally grown and American grown flowers. 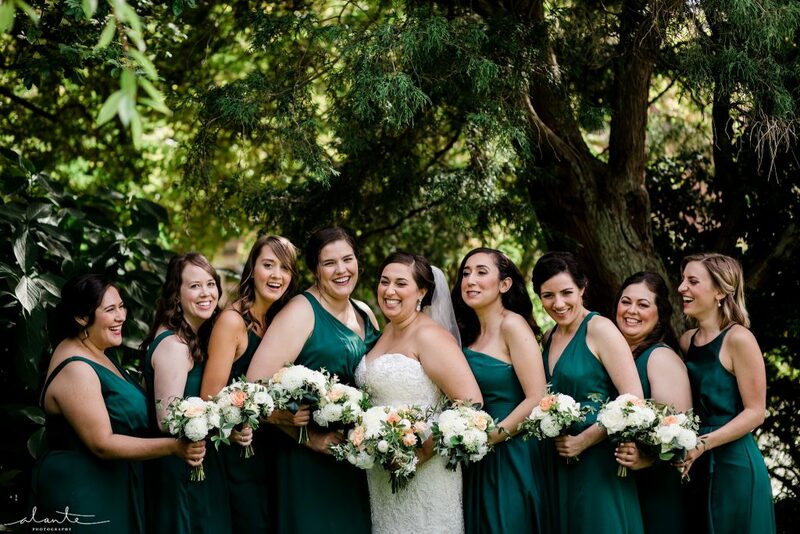 To see more from this beautiful Sodo Park Persian wedding, visit this blog post.